Designed by artist Chris Kabel for The Commons, Wall Space is a colossal poetry marquee showcasing new writing commissioned by Headlands. Claudia LaRocco (Headlands Artist in Residence, 2013), who curated the inaugural series of texts, leads this conversation with several of the artist-writers. 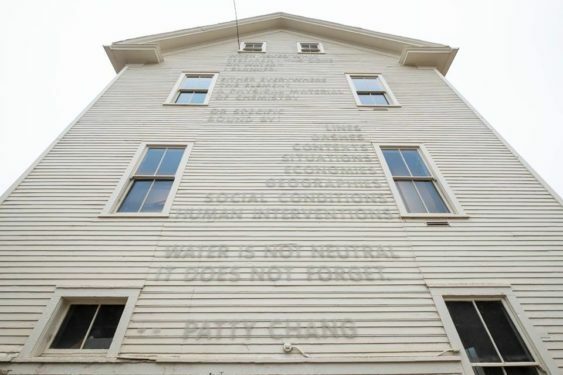 Patty Chang (Headlands Artist in Residence, 2013), Tongo Eisen-Martin (Headlands Artist in Residence, 2019), and Camille Roy will present selections from their creative projects and talk about producing public works. Presented by Headlands Center for the Arts.